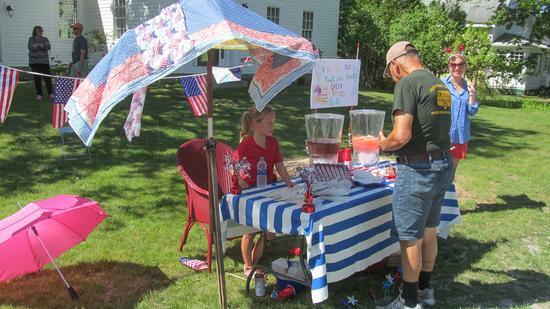 Visitors from around the Peninsula braved the heat to celebrate Independence Day in Brooklin. 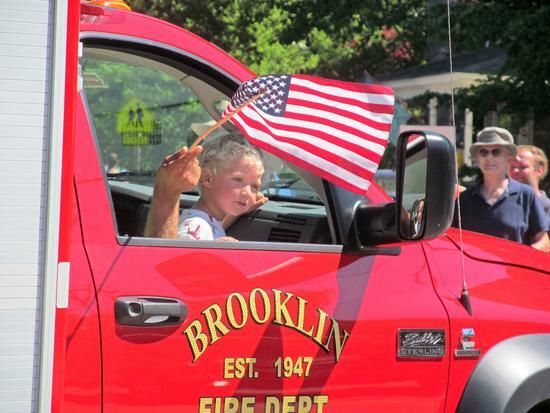 The festivities began with a parade and ended with the annual Brooklin Youth Corps barbecue and kids’ games on the town commons. 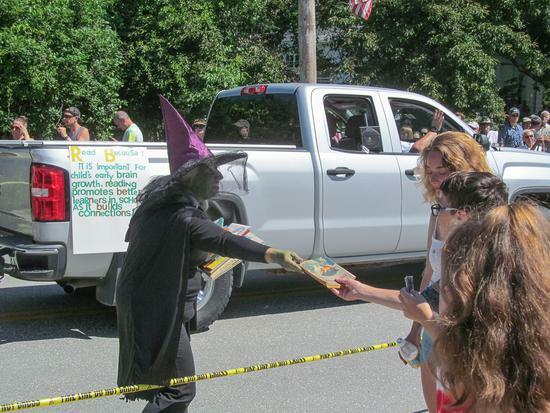 Parade watchers were treated with candy, popsicles and free books. Highlights of the parade included sailboats, sail-bikes, a book mobile, battling robots and a giant Lobzilla. Firetrucks from the Peninsula, including this one from Brooklin, were decorated for the parade. 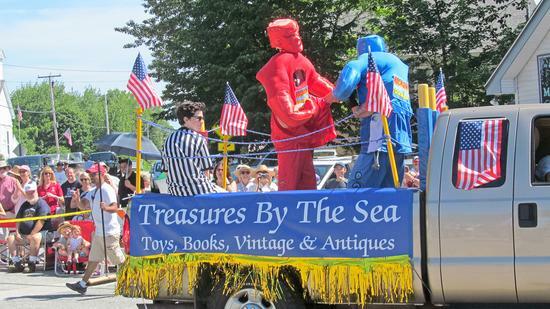 Two Rock’em Sock’em robots battle in the back of the Treasures by the Sea float. Lobzilla invades the parade while members of the Lobzilla Emergency Response team fend off the giant lobster. 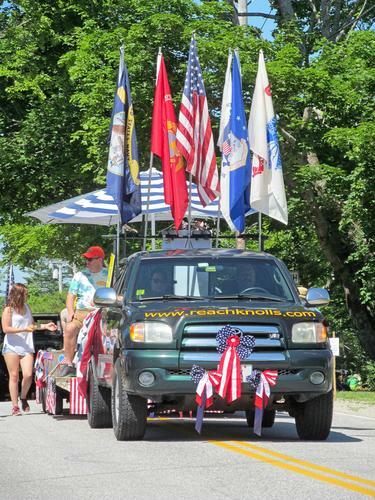 The Reach Knolls float displays a variety of flags followed by a picnic display where popsicles were handed out to help cool off the parade-goers. A number of drink and concession stands help cool off visitors to the town. Literary characters—including a witch, a princess, Harry Potter and a playing card—hand out free books from the Book Mobile.